My talk with you today is therefore of particular meaning as it’s addressed to professional figures who enjoy huge roles and responsibilities in the life of people and defense of their rights….to lawyers who actually defend the nation and her rights…to those active and important people who have their distinguished status in the lives of their countries and societies. Dear Sisters and Brothers, We all follow up the current events…all of us recognize these events and the surrounding circumstances as well as their direct and indirect consequences are not the product of today but rather date back to past decades…but they have intensified in recent years…where the Arab people paid a dear price because of serious Western political projects which are strange to this region…They paid the debts of others from their own blood and their stability without having any interest or role in what is going on. And while we thought that the political changes in the 1990’s would lead to finding reasonable solutions to the chronic problems in our region as promised by the New World Order and its dreams, we found out that these problems had become more complicated and more confused…all pledges were only illusions or daydreams…We call this the New World Disorder…it’s only a name but the real content is the new world disorder because there is no order at all. At the same time new problems, not less dangerous than those previous, had emerged…they had rather been accumulated with them or resulted from them…new spots of tension, not leas than the previous in terms of heat and inflammability, had came to light and their consequences started to spread everywhere, causing problems to our Arab people…and so the Palestinian issue moved nowhere…instead it retreated step backward if we take into consideration the actual circumstances surrounding our Palestinian people and the extent of repression Israel has been practicing against this people…Israel has blocked all the roads to the Middle East peace process, not only because of the rejection by Israeli successive governments to respond to the peace requirement and continued denial of the Arab basic rights but also because the current international situation and influential power are not ready to push the peace process forward, as well as for the backing down of the international community to meet their obligation towards the peace process and stability in the region. Besides, Arab actual retreat of support to the Palestinian issue as a result of continued pressures practiced for the benefit of Israel had also played a role in that retreat. The Palestinian track was not different from the Syrian-Lebanese track, added to that the Israeli violations of Lebanese airspace and land before the eyes of a silent international community. Of course the international community is silent in such cases…when it comes to a simple statement that disturbs Israel a little bit …here the international community turns into an active and influential society with a tongue to speak and some times this tongue become fierce …but when it comes to a statement by an Israeli rabbi accusing the Arabs of being serpents that must be eliminated … or when US Congress says that there is an Arab country which must be pond with a nuclear weapon to eliminate …then this society keeps silent. The Iraqi issue emerged in our current political life to cause a political, pan-Arab and moral earthquake that has created a new reality in the Middle East and whose tragic features have begun to appear on the structure of the Arab society and check up convections of people and their national and pan-Arab belonging. 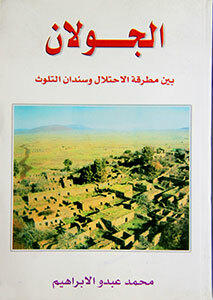 In addition to that, the phenomena of terrorism has begun to spread painfully, threatening the national and social structure of the countries in the region … this is because of a set of factors, particularly regional, international wrong and reckless policies towards the Arab nation’s heritage and issues … in addition to the exploitation of this phenomena, namely terrorism, as a tool in the hands of some powers which claim fighting terrorism in order to intimidate and terrorize the others and attack their cultures, identities and intervene in their internal affairs . Therefore, the developments of the Lebanese situation had emerged as one of the consequences of the new international situation since the issuing of resolution 1559 until the killing of Premier Hariri and the formation of the investigation committee and the subsequent new international resolutions, which seek to harm Syria and its stances. If some analysis said that some of the consequences of events in Lebanon were meant to cover up the failure of the occupation troops in Iraq as their project failed there in making Iraq as its main gate- - and that’s right - - then it’s fully right to say that this is meant to target Syria and Lebanon as part of an integrated project to undermine the region’s identity and reshape it under different names that finally meet Israel’s ambitions to dominate the region and its resources. It’s wrong to use the idiom of targeting Syria, Syria and Lebanon as brother Sameh Ashour said…not in defense of Syria against Lebanon … as they are both targeted …but what is targeted is the Arabs and the Islamic nation …the targeted is wider than that … but now we are talking about targeting the Arab nation… what is happening now is part of a big conspiracy as Iraq is part of this conspiracy … and as Gaza First also was … and as Oslo was …we don’t want to go back to the older parts in order not to raise some sensitivities. Gaza First was a part that failed since the first very day …it aimed at causing sedition among the Palestinians.. Oslo was foiled by the Intifada at the beginning of its eruption.. The Iraqi project is now failing before the eyes of the whole world…the project of the Syrian-Palestinian part will also fail… but to foil this part we have to deal with the elements as one project or one conspiracy and subsequently we have to recognize that behind each conspiracy lies another conspiracy and after each part there is another part…there is an interlink among these parts. The issue is not Syria and Lebanon, it is bigger than that… we’re not worried …we feel worry over the general situation, over the Arab nation…so we have to know the whole dimensions of conspiracy so that we can deal with each part of it. Of course they will say now that Arabs have always a psychological complex which is the complex of conspiracy. If we go back to the past century from Sykes-Picot to the occupation of Palestine in 1948 to the invasion of Lebanon in 1982 and the occupation of Iraq and the intervening events and what is happening now with Syria and Iraq… maybe they don’t consider these events as a conspiracy… maybe they consider them as part of durable developments for the region or part of charity actions and we have to send them a cable of gratitude. As obvious in this context, Syria had been in the focal point of this event, not only for its geographical site, political, social and human link to the main conflict areas, but also for her role, status and history. Besides, those who stand behind this conspiracy considered Syria as a main block to the establishment of their aims. In light of that, Syria had to face successive waves of challenges, and had to set out in each stance depending on her national and pan-Arab responsibilities and her strategic interests and keenness on her independence and sovereignty… but this was not accepted by some international powers as well as by some Arab forces and figures who introduce themselves as agents to those powers or as a tool to carry out their plots. There is a problem with some big powers towards the Arabs and Moslems, and as I said with many or maybe with most countries of the world. We recognize this problem continuously through their statements and our meetings and discussions with them. They don’t want us to commit to anything… their problem is not only the pan-Arabism or Islam…they don’t want all those to commit to any principle or religious, national or even economic doctrine. They want to turn the peoples and the world into a set of computers in which they insert information and operation systems and program them in their own way to use as they like whenever they want for their own interests. And when we agree on this, then we are described as nationalist, wise, realistic and democrats, otherwise, we are either terrorist or terrorism sponsors… and this terrorism has names that change with the circumstances and interests… we call this real fashion. We used to hear for decades about Palestinian terrorism then they began to talk about Lebanese terrorism during the civil war in Lebanon…today they are talking about Islamic terrorism…don’t be astonished if they put soon a new idiom called sovereign terrorism which is now actually being applied to countries which seek to establish its sovereignty. In fact it is being applied, and it is only a matter to time to find out the suitable idiom…this is not an exaggeration as there are now dialogues in the United Nations and the Security Council corridors by some known international powers to discuss the principle of the national sovereignty to cancel this principle under different pretexts…human rights corrupt regimes, corruption and other excuses they are searching for now. So this speech is real, but they always present idioms and we as Arabs don’t go to the depth of these idioms. As for Arab-Israeli peace issue, we announced our desire to establish the just and comprehensive peace on the basis of UN resolutions, and on the basis of these resolutions we committed ourselves to the Arab Peace Initiative of Arab Summit in Beirut 2002 which nobody talks about any more today. This initiative calls upon Israel to work for peace and confirms Arab readiness for peace…but Israel responded to all this by ignoring peace initiatives and by more massacres and assassinations against our people under unlimited support for the United States and total silence by the other international powers. In addition to the massacres committed by Israel, particularly after the Arab initiative, it invaded Jenin and Nablus and the many systematic and premeditated assassinations, the most dangerous of which was assassination of President Yasser Arafat, and I am happy because you mentioned that before the eyes of the world…no country dared to issue a statement or a stance towards this issues…as if nothing had happened in this region. Brother colonel Muammer al-Qaddafi presented an initiative about two months ago to the current presidency of the Arab Summit represented by Algeria calling for forming an international committee to investigate into this issue… Syria of course has immediately supported this initiative in writing and I think that you as Arab lawyers and specialized in legal issues can reach a technical detailed study on this issue as a complete plan that could be presented to the next Arab Summit within months so that it could be adopted by the summit and then an Arab united move could be taken about it. On the Iraqi issue, we opposed the invasion of Iraq for reasons relating to our principles, values and interests in as much as we will oppose any intervention or invasion of any Arab land. We are committed to the principle of non intervention in the Iraqi affairs and announced our desire to establish a relationship based on more fraternity, integration and coordination…we express readiness to offer help to Iraq when the Iraqi people ask us to do so. We also underscored Iraq unity, stability and necessity of participation of all Iraqi people in the political process…in addition to withdrawal of foreign troops from their lands. I stress today that all these aims, particularly the unity of the Iraqi land, cannot be established unless they depend on a future solution represented by the Arabism of Iraq…I also stress that the future of the whole region depend on this principle. There are many scenarios and ideas being discussed and presented regarding the issue of Iraq, but all these scenarios depend on the sectarian principle…if we take an extremist idea and its contrast in extremism and take a third idea in middle then all of them will lead to the disintegration and destruction of Iraq as long as they rely on the sectarian basis. In return, if we take all these probabilities on the basis of Iraq Arabism, then the result will be for sure the stability of Iraq and maintaining its territorial integrity. The word of Arabism of Iraq is not chauvinist or ethnic. Arabism is a civilized meaning as it doesn’t negate ethnics, cultures or languages or any of the components of the Arab society, which exists in now in this hall. It’s the natural history of our region, and, subsequently, no group or segment or faction in this Arab world must feel sensitive over this presentation or this idiom as it’s the only and strongest melting point for all these rich components…it’s rich through the presence of Arabism and poor and harmful without it. We wish that all Arab brothers on all levels whether in government office, media men or intellectuals to shun themselves from the quagmire of sectarian idioms presented now in Iraq because we want to restore to Iraq its Arabism not to be drawn by some Iraqis into the sectarian quagmire otherwise we all will drown in one ship. In the presence of these events and tendencies we were aware of the size of negative consequences of the Iraqi situation which would affect Syria and the region in general…as a result of internal and regional interactions resulting from the invasion…this has appeared obviously over the past three years in a way that gave credibility to our warnings before the invasion…and instead of admitting the mistakes, occupation forces started to blame the others for their difficulties they face in Iraq…they began to settle other accounts regarding stance which reject policies of hegemony whenever they are…and today after years of search for the lost victory in Iraq they only found unborn victory and unlimited rejection. As for the Lebanese issue, the starting point was the issuance of the resolution 1559 which aimed at making a radical shift in the political equation in Lebanon and the region through targeting the Lebanese national resistance and the Syrian-Lebanese relations as well as destabilizing Lebanon. The question here is why this is happening now ? Why Syria and Lebanon? Because the Arab society in all its segments has a strong belief in the doctrine of resistance which was the basis for Lebanon’s steadfastness. The relation of struggle between Syria and Lebanon is the main political, moral and human supporter of this doctrine which had established its first success by foiling 17 May Agreement, and then the liberation of Lebanese territories in 2000, and which continued through the steadfastness of Intifafda in Palestine and through rejection of Iraq occupation…they set out to eradicate this doctrine.. even if they were late…but they were too late. Of course the principle of resistance is not only carrying weapons as some believe… it is the commitment to doctrine, principles, interests and values…all these things for us mean accepted and adopted resistance…but for them it is terrorism and rejected. Despite our reservations on the resolution 1559 and our recognition of its direct and indirect motives, we responded to it and carried out our commitment where the Syrian forces withdrew from Lebanon…and the assassination of Premier Hariri came as part of suspicious plot to cause an overall upside down…not only in Lebanon but in the political situation in the region in general, especially the relation between the two countries and peoples. 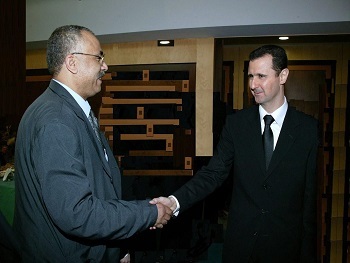 Incidents, assassinations, and media escalation came successively after that to target security and accord as well as the role of Syria and status amidst feverish campaigns to distort Syria’s image and deface her stances as well as to poison the atmospheres between the two brotherly peoples through directly accusing Syria in a way to serve interests, reactions and foreign suspicious relations. We choose self-restraint in Syria and refused to be drawn into the stances the others want us to be in because what we have built throughout decades by common blood of the two Syrian and Lebanese peoples can’t be lost in passing reactions and emotions. But it seemed obvious that some people didn’t want things to go in its natural pathway, particularly after the issuance of resolution 1559 and the formation of the international investigation committee which we were careful to cooperate with and facilitate its mission out of our respect for the national law and sovereignty. And despite the defects of the two reports by the committee and the unfair position towards Syria, we announced willingness to cooperate with the commission because we have always been with the international legitimacy and because impartial and independent investigation will be for sure in the interest of Syria. But it turned out that some Lebanese forces and international circles didn’t want the investigation to reach its destination in an objective and honest way as long as it will clear Syria. They were obviously willing to harm Syria and follow up on a mechanism of investigation to proof a ready made accusations and even before the blood dries up. We in Syria are very clear about the investigation: we are with the investigation into assassination of Premier Hariri to reveal the culprit or culprits and will continue cooperation with investigation now and in the future to reveal the truth on the basis of sovereignty and national interest, and as I said Syria’s interest meets with the interest of investigation when the latter is impartial. 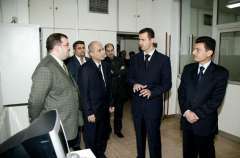 If some body believes that politicizing the investigation and diverting it off its natural course could enforce Syria to do what they want then they are wasting their time and the suitable opportunity to establish stability in the region as well, subsequently negatively reflect on them. As for their using of some deftest or traitors as witnesses, this will not change Syria’s stances but rather change their already false images and bringing them nearer to their real images before the Arab peoples and the world. When we said that investigation is built on the national sovereignty, this means that we put limits… this speech should be obvious and when we say national sovereignty this means national interest. We presented full cooperation as well… this means limits of the full cooperation is impartiality of investigation… full cooperation is compatible to national sovereignty. What they talks about unlimited cooperation, this means simply that we can cooperate against out national interest and taking the investigation out of its legal limits and into the political framework. And as you know politics has no regulations: They do anything especially through the Security Council… Legally, Logically… legitimate no matter. It’s in their hand to take whatever resolutions. They have formed a Committee for convection not for investigation, but there is always a national framework, which concerns the senior official and the citizen each in his/her position. The national sovereignty is the highest not the Security Council or other…. We as nationalists have to set out in our cooperation on the basis of national sovereignty and dignity. This is out of question for us, and whoever accepts that something will be higher than national sovereignty in any country or place in the world has to change his/her citizenship and replace it with an international citizenship given by the United Nations, and then we have to annul many concepts like sacrifice for the nation and the sacred country. The issue of national sovereignty should not abandoned even if it requires that we will be ready to fight for our country… we will be ready for this thing, and we stress that all these attempts will fail. 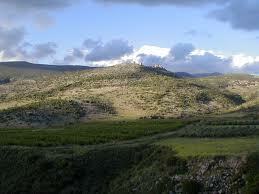 Syria will remain the big brother who stands by the national Lebanon whenever it needed that. I’m not worried about the Lebanese issue at all and about relations between Syria and Lebanon despite the many wounds because what happens is something passing. There are in Lebanon those who heal the wounds and so in Syria continuously. I’m also not worried about the relations between the Lebanese despite many defects. 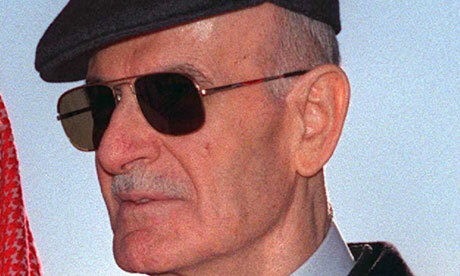 Sometimes worry comes from some Lebanese officials who see their strength and influence through the destruction of Lebanon or through their political or financial interest. We are with any Arab initiative to improve the relations between all Arab countries. 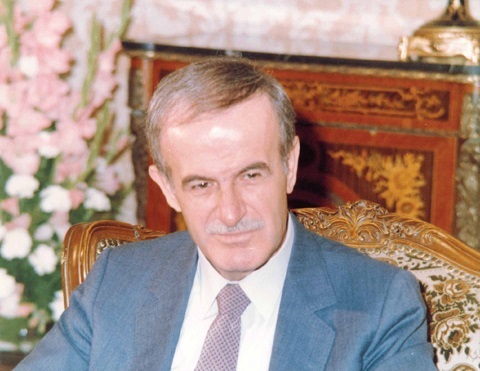 Syria was the first party who initiated to improve relations with Lebanon. Sudan moved between Syria and Lebanon with some ideas, and we said from the beginning that there is no problem… we are open to all ideas that could be presented. There was no response to Sudanese initiative, so they moved with Egypt and Saudi Arabia and as far as I know with the presidency of the Arab Summit and the Arab League, but there was no response from some Lebanese officials. There are few groups in Lebanon, who reject Syria and the Arab solution, but they are few and temporal and couldn’t represent all Lebanon, and the situation can’t continue this way. We put some ideas with Saudi Arabia for discussion but they were not final. There were leak of some ideas like demarcation of borders. We didn’t propose this at all, and we don’t think there is a border problem between Syria and Lebanon…. They propose it and they refuse it. Many people don’t know the issue of Shebaa Farms. They presented the issue of borders to be demarcated several months ago, and we sent them an official answer in writing that we’re ready to demarcate the borders. Shebaa Farms is smaller than this complex in which we are meeting now. The demarcation needs two things legal when one of the countries on both border proves property of these lands, in this case, it goes to the UN and register it, the second is technical relating to engineering works to define border points definitely and finally. Israel now occupies these lands, namely neither Syria nor Lebanon exist there. What is the point of demarcation now? It’s only an Israeli demand… and the work is only against the resistance. It doesn’t harm or benefit neither Syria nor Lebanon. It harms the resistance and serves Israel... so they refused to start demarcating the borders from the north. Most of the Lebanese on the level of citizens are with Syria… even on the political level the most part is with Syria, but this part is neglected because of the media. Dear sisters and brother, We work to enhance relations with everybody and extend bridges with all countries of the world in spite of pressures some of them are exposed to. Unfortunately, so Arab media participated in the media campaign against Arabs through spreading the culture of disappointment and defeat and exaggerating the idea that the Arabs are weak and unable to do anything. We in Syria are familiar with such campaigns for decades and we know their aims, and subsequently they will only enhance our steadfastness. In international standards we are a small country in terms of area and maybe population etc… but in the national standards, no one can by stronger than us. Let us give an example, Lebanon is a small country and emerged from civil war and all the international circumstances were against the liberation of the country. But this was done against the will of those who opposed this. There is also the Palestinian Intifada, which has been steadfast for the fifth successive year despite all difficult conditions. Iraq today is the obvious example before us. I think the Iraqi citizen today enjoys freedom more than the American soldier does. The occupation forces are now in need for the Iraqi people to take them out of their dilemma. Suddenly a foreign official appears in Iraq where he/she makes furry statements and then escapes… at the beginning they tried to raise the morale of their followers and troops, but every time thinks went so badly they were forced to raise the morale. Such farce has now been to Lebanon as you see… this is good because this means surely that the current, which calls the internationalization, is in dilemma. As for the internal level, we have been following up our reform program on all the levels. We are putting on the final touches on the 10th Five-Year plan, which is a promising plan for economic, monetary and administrative reforms, as well as for improving the services and the living standards of the citizens. On the political level work is underway on several projects that boost popular contributions and help enrich democratic life relating to the party, electoral and local administration laws. We also work to consolidate institutional work, the supremacy of the law and independence of judicial system… this will activate the political life and enrich our national work and tackle many negative aspects we face. We have always confirmed that reform begins and depends on our national needs…we vehemently reject any reform imposed from outside under any title of justification. Our war is very long… it is a war for identity. We reject this war, which has been imposed on us … we are with the dialogue of civilizations and cultures. Our battles are cultural and moral, and their tools are of political, military, economic and media nature. You have convened your conference in Syria to express solidarity with her people in face pressures and support to her stances. 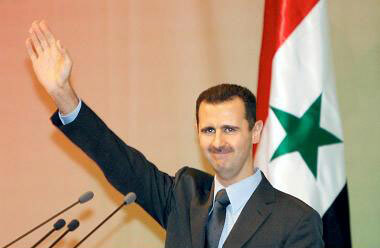 Everybody knows that Syria is strong and will continue to be so God’s Will. But we have to know that there is strong country without steadfast people. Allow mw to avail this opportunity to extend my greetings to the Syrian Arab people because they embody all meanings of dignity and honor. Blessed by your efforts and the Arab Nation.